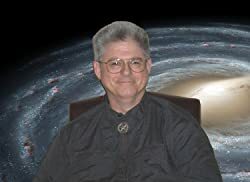 Mack Meijers, host of the truly excellent “Science Fiction Spotlight” podcast program, gave a brief reading from the first volume of my “Man of War” series, To Honor You Call Us, on his show. If you will look at the right hand border of this page, you will see that I have cleverly installed a “widget” that will let you listen to that reading just by clicking on the play button. Or, if you prefer, you can navigate to the program’s page for the reading by clicking on the link below. Maybe I’ll put a few readings up on this page sometime. Of course, if I do it, it won’t be with Mack’s truly posh English accent. Or, it could be, as I actually am pretty good with accents and do a passable Received English (also known as BBC English) accent. Naaaa. If I do it, I’ll do it with my normal voice, which is nothing to write home about. Anyway, here’s the link.